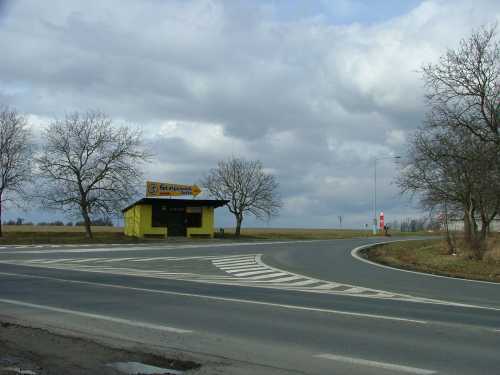 Close to the site of the Lidice museum and memorial is a T-intersection where the Buštěhrad road joins the Prague to Kladno road. The bus stops at this intersection are about 200m from the Lidice museum and memorial and it's obvious which way you need to walk. 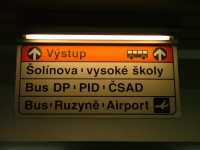 From Prague, buses take about 25 minutes to reach the Lidice intersection. During the main part of the day they depart twice every hour from the bus stands outside the Prague Dejvická Metro station. Buses to the airport depart from the same metro station and the stand for the Lidice buses is further up on the same side of the street (there's excellent signage for the airport buses, so it's easy to just follow that and just go a bit further). There are also buses to Lidice from Prague Zličín, but unless your accommodation is out there it's probably easiest to make your way to Dejvická. The fare should be around 25Kč. Check departure times and current fares here.